Aggressive. Effective. Clients turn to Rick when it is time to go to court. He is a litigator who identifies the client’s goals and finds the right way to achieve them. Sometimes the goal is to settle as quickly as possible. Sometimes it’s to make a legal issue go away so the client can do business with the party again. Sometimes the goal is to send a message, not only to an opponent but to others who may be inclined to act similarly. When cases go to trial, Rick is an organized, articulate and passionate advocate. He takes the time to learn how a deal came together, where it went wrong and how to present the best case. Regardless of the industry, he applies the same skill set − a strong opening statement, surgical cross-examinations and instant rapport with jurors – to achieve the best possible outcome for the client. Rick represents businesses across the industry spectrum: hotels, banks, mortgage lenders, real estate developers, air freight companies, and life and health insurers. 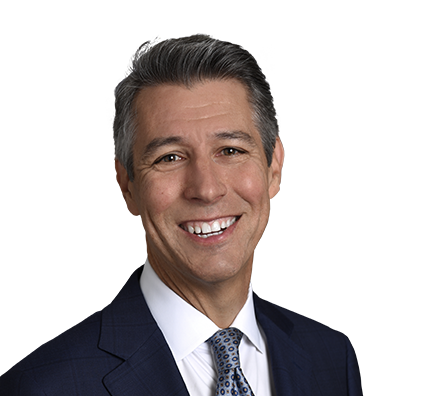 His litigation practice is just as widespread geographically, including clients in Texas, Arizona, Arkansas, California, Florida, Michigan, Montana, New York and Oklahoma. Rick serves as the Office Managing Partner for Husch Blackwell's Dallas office. Obtained $6,221,626 unanimous jury verdict in quantum meruit construction case. Beard Process Solutions, Inc. v. Brandt Industrial, LLC, case No. DC-14-13334, in 14th Judicial District Court, Dallas, Texas. Secured $1.45 million verdict in jury trial and later appellate victory for Litex Industries Limited in negligent misrepresentation accounting malpractice lawsuit. Litex Industries, Limited v. BDO USA, LLP, case No. DC-13-00344 in 14th Judicial District of Dallas County, Texas. Obtained $4.4 million award from county commissioners in condemnation proceeding where Texas Department of Transportation's initial appraisal of damage was approximately $800,000. North Texas Tollway Authority v. Benbrook Winchester, LP, case No. CC-08-09638-D in County Court at Law Number 4 of Dallas County, Texas. Agreed final judgment subsequently entered for $3.98 million. Secured summary judgment, affirmed on appeal, in defense of Jackson National Life Insurance Company in action arising out of alleged fraud in sale of variable annuity and unauthorized trades. John Hubbard v. Jackson National Life Insurance Company, et al., case No. 2011-DCV-5694-D in the 105th District Court of Nueces County, Texas. Secured defense verdict in slander of title and injunction action arising out of alleged easement. Prestonwood Tower Ltd., et al. v. Piedmount Montfort Partners L.P., et al., case No. 05-CV-05157 in the 298th Judicial District Court of Dallas County, Texas. Obtained defense verdict of "zero" in breach of contract claim arising out of construction loan agreement. Carolyn A. Adams v. National City Mortgage Co. and Steve Paulson d/b/a Steve Paulsen Properties, case No. 141-208136-04 in the 141st District Court of Tarrant County, Texas. Obtained defense verdict of "zero" in breach of contract claim arising out of alleged referral agreement. Soraya Fletcher d/b/a Exquisite Stone v. Mark S. Thompson and Denmark Inc., d/b/a Murray Appliance, case No. 2006-50318-367 in the 367th District Court, Texas. Obtained defense verdict of "zero" in breach of contract claim arising out of warehouse lending relationship. First Financial Equities Inc. v. First Savings Bank F.S.B., case No. 236-197247-03 in the 236th District Court, Texas. Secured plaintiff's verdict for $450,000 in actual damages and $900,000 in punitive damages in fraud claim against distributor of counterfeit aviation engine combustion liners. Ameristar Jet Charter Inc. v. Signal Composites Inc. d/b/a Signal Aerospace, case No. 3-98CV1360-L in U.S. District Court, Northern District of Texas. Obtained plaintiff's verdict of $1.4 million in negligence action arising out of mishandling transportation of aircraft. Ameristar Jet Charter Inc., et al. v. Dodson International Parts Inc., case No. 98-CV-14586 in16th Circuit Court, Missouri. Secured plaintiff's judgment of $690,000 in claim arising out of payment of altered cashier's check. Ameristar Jet Charter Inc. v. Compass Bank, case No. 98-03526-I in 162nd District Court of Dallas County, Texas. Obtained plaintiff's verdict of $2.5 million in breach of contract action arising out of investment banking transaction. Southwest Securities Inc. v. Zurn Industries Inc., case No. 97-00548-L, in 193rd District Court of Dallas County, Texas. Achieved defense verdict of "zero" in fraud claim arising out of construction of pipeline. Warren N.L. Inc. (Dynegy) v. Campeon Pipeline Corp. and Sunland Construction Inc., case No. 98-08440, in 151st District Court of Tarrant County, Texas. Secured plaintiff judgment of $160,170 in claim for unjust enrichment arising out of theft of check. Encore Enterprises Inc. v. Roberts Hotels Fort Myers LLC, case No. 2:09-cv-00118-CEH-SPC in U.S. District Court, Middle District of Florida. Rick enjoys skiing vacations in the mountains. A workout warrior, he makes time each day for elliptical training, running or lifting weights.